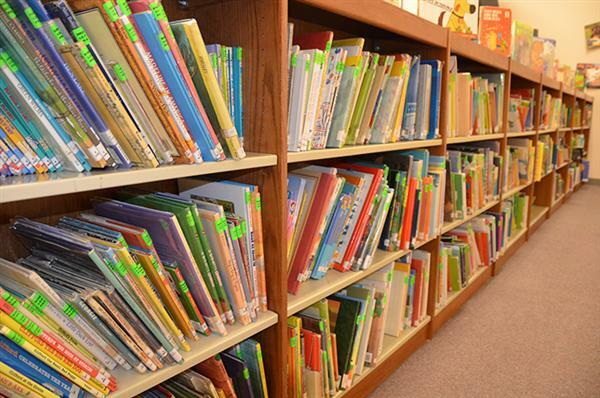 Did you know there are approximately 10,000 books on our shelves and nearly all have accelerated reader tests? Our collection includes, fiction, non-fiction, biographies, reference, and short stories. Books are added to the library from our two annual book fairs and requests from students. We are excited to announce our new library program, "Follett Destiny". You are now able to search our catalog from home and put a hold on books! See the link below and begin your journey through our library collection. Parents and students in Kindergarten through 8th grade can browse the library inventory from the comfort of your own home and place a book on hold! Our new program is Follett Destiny. Click this link for directions or go directly to website. St. Peter students, grades 1st - 8th, have the opportunity to take AR tests on books they have read. St. Peter offers an Advanced Reader program, also known as AR. Based on the Star Test reading level, students are able to find books on the AR list, take the test, and receive points on the test grade. Tests consist of 5-20 questions. These AR points can accumulate throughout the year. Students in grades 5th - 8th grade will have an AR point goal for each tri-mester. At the end of the school year PTL sponsors an AR rewards program. Depending on the total number of points, students can pick out small toys and/or gift cards. Readers that have gone above and beyond reading that school year can earn a Lunch with the administration off site! Points to qualify for AR lunch is the following: 1st-2nd is 75 points, 3rd-5th is 100 points, and 6th-8th is 150 points. We also have one day each week during the summer where students can take AR tests. This summer program has been well received and encouragement for students to read through the summer! Due to the generousity of the Fall Book fair, our library has been able to add many books to our collection. Click here Book Purchased at Fall Book Fair 2018 to view list of new books! I have been the Media Specialist in the Library since 2003. I shared the position with Janet Allman until her retirement in 2013. In my spare time, I enjoy reading of course, and bike riding. My children, Lauren and Grant are alumni of the school. We feel very blessed to be a part of the St. Peter family. I am grateful to God for this wonderful job, the parent's for entrusting me with their precious children with whom I get to share stories and tell of God's love and a faculty that I am privileged to be a part of.